We are a leading Exporter of copper bar, duplex stainless steel bar, stainless steel product and stainless steel bar from Mumbai, India. Range : 10 mm To 250 mm Dia in 100 mm TO 3600 mm Length available with NACE MR 01-75. In order to fulfil the changing demands of our patrons, we have been engaged in offering a quality range of Duplex Stainless Steel Bars. Our manufacturers make use of stainless steel in the manufacturing of these bars. Moreover, our stainless steel bars are widely used in industries like construction, railways and automotive. Customers can avail these products from us in grades like UNS NO. S 32550, S 32750, S 31803, S 32205, S 32760, 2507, 2205 and F 51. 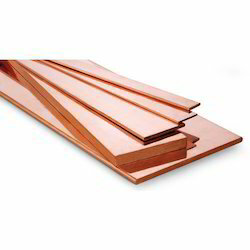 We offer these bars in range like 5 mm to 250 mm, diameter 100 mm to 3000 mm length. We are a leading firm involved in offering a wide range of Stainless Steel Bars to the patrons. Manufactured at vendors' end, we offer these products in varied specifications in the market. These products are in accordance with the global quality standards and norms. 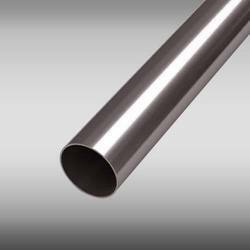 Looking for “Stainless Steel Bar”?